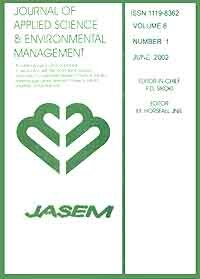 LCA has been defined as a tool for evaluating the environmental burdens and potential impacts that can be applied to municipal solid waste management systems for determine the optimum municipal solid waste (MSW) management strategy.To investigate the Waste Management system strategy of Karaj City we used LCA method. Three scenarios were defined and compared based on environmental burden include water pollution, air pollution, consumed energy and waste residues.. For each of these scenarios, an ecological indicator was achieved from checklist values. From the environmental point of view, results show that recycling is one of the best alternatives for Waste Management. Furthermore, composting has an important role in alleviating the load of pollutants and energy usage in the Waste Management system.